This tool was originated by Albert .S. Humphrey, an American Business and Management Consultant, who specialized in organizational management in the 1960s and since then the SWOT analysis has proved to be a very useful tool, necessary to create an effective strategy in any company, organization, group, industry, firm etc. As a matter of fact the importance of SWOT analysis in a business cannot be overemphasized. It helps to have a detailed plan, draft good strategies and have solid predictions. This is as a result of the fact that it gives due cognizance to the factors that can make or mar any organization, company or firm. Invariably, it gives such an organization more chances of survival and thriving, making them better established and ready to tackle challenges as they come as well as maximize opportunities. An organization, firm, company or industry that would want to remain relevant has to make use of this very important tool and be fully aware of internal factors which are the strengths and weaknesses of the company or firm, as well as the external factors which are opportunities and threats. The manner at which these factors are handled is a major determinant of the success rate of the company and how long the establishment would remain successful. One of the major reasons why SWOT is well used and quite popular is because in a concise and precise way, it shows the important factors that are crucial to the success of any firm. It directs the minds of the managers and directors to priorities that should not be ignored. Most of the pressing challenges a firm would usually have are streamlined and compressed by SWOT to these four basic factors which are strength, weaknesses, opportunities and threats, thus helping the directors and managers to have a workable action plan in order to remain relevant. Now that you’ve known just how important a SWOT analysis is, do you want to do one? As earlier said, the SWOT analysis is quite simple and not ambiguous so you will get the hang of it in no time. First, you need to have an objective. It will be a difficult task to be carrying out a SWOT analysis on different projects at the same time. So get the objective. This also gives you purpose as you know what you intend to achieve at the end of the day. After that, draw a table and divide it into four squares. Label each part with strengths, weaknesses, opportunities and threats respectively, then fill them in properly. Here’s an explanation of what to fill into the squares. STRENGTHS: A definition of strength is the strongest part of something on which confidence or reliance is based. They are those areas that you are very good at and even better when compared with your competitors. They are areas where you have an edge over others and factors that you are well grounded in and have a great level of control over. They could range from certain areas such as marketing, human resources, special skills, customer care, machineries, equipments, capital etc. They are generally anything within your company that helps the company succeed, aids in the business and is used to the company’s advantage, which is properly under control. Those are the strengths. WEAKNESSES: A definition of weakness is an inadequate quality. They are areas or factors that still needs to be worked on and improved as they could be used by the competition against you. Your need to seal up these loop holes in these areas and fix the porous factors should be paramount once they have been identified, because if not handled then your competition would always make use of those areas and factors to stay ahead of you. The weaknesses just like the strengths are internal and within the company, firm, business or industry and could include lack of resources, low expertise, inferior technology, inaccessible location amongst others. You have to be aware of the fact that these weaknesses places you at a great disadvantage and to stay relevant, it is essential that they are appropriately tackled. OPPORTUNITIES: A definition of opportunity is a favourable circumstance or occasion. They are those occasions which when maximized properly will be for your good and give you an added advantage over the others. 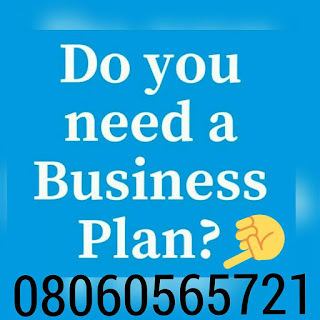 Your business or organization exists for a reason and opportunities are those events, occasions and situations that enables you achieve those goals and fulfill that purpose as well as meet the reason for which the organization was established. Note that opportunities are external and not found within the company. In fact opportunities are openings and chances which leads to exponential growth and success if properly maximized. These opportunities may include change in people’s need, an expanded market etc. THREATS: A definition of threat is an indication of potential or imminent danger. Anything that could lead to a decrease in your growth or success rate poses as a threat and is of course dangerous. Threats are those factors, areas or situations that can adversely affect the business. They put you at risk of losing relevance and render your marketing strategies ineffective. They could be your competition, hoarding of foods by suppliers, change in consumer needs amongst others. If you are able to pinpoint the threats, then you have more chances of finding a solution to the problem and it is advised to act fast, after all a stitch in time saves nine right? After you have drawn the grid and properly filled out the boxes of strengths, weaknesses, opportunities and threats, then you will be able to deduce the state and condition of your business and it’s chances of survival. If also gives you a clear view of the areas you are lacking, the areas that needs to be worked on and the loop holes to cover. It is best advised to harness the opportunities and minimize the threats while strengthening your weaknesses. SWOT analysis basically puts everything on the table for you to fully analyze and decide on the best course of action to take.